Last week the Bank of England cut its growth forecasts to 1.2% this year and put the odds of the UK slipping into recession by the summer at one in four. "There’s little doubt Brexit uncertainty is responsible for the disappointing numbers, though concerns over global trade will also have played a part. " GDP growth slowed to 1.4% between 2017 and 2018, the weakest it has been since 2009, according to the latest ONS statistics. The 0.2% growth recorded in Q4 is a significant drop from the 0.6% seen in Q3 and is also below the latest forecasts produced by the Bank of England and NIESR. Construction, production and services output fell in December, the first time that there has been such a broad-based fall in monthly output since September 2012. Compared with the same quarter in the previous year, the UK economy is estimated to have grown by 1.3%, its weakest quarter since Q2 2012. 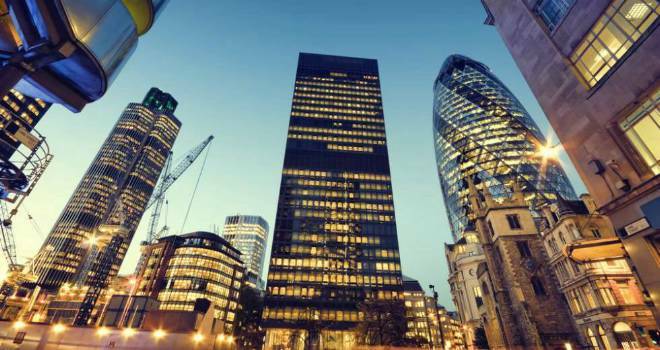 Ben Brettell, senior economist at Hargreaves Lansdown, said: "The slowdown had been widely expected, and the magnitude was in line with economists’ forecasts. But the economy actually contracted by 0.4% in December, against expectations of little to no growth. The services sector, so long the mainstay of the UK economy, grew 0.4% in the quarter, providing almost all the growth. By contrast manufacturing output fell 0.9%. But even the services sector fell in December, though the monthly data is notoriously volatile and it’s usually unwise to read too much into one month’s figures. "There’s little doubt Brexit uncertainty is responsible for the disappointing numbers, though concerns over global trade will also have played a part. Business investment – the most Brexit-sensitive element of GDP - dropped 3.7% Q4 against a year earlier, the biggest fall since early 2010. "Last week the Bank of England cut its growth forecasts to 1.2% this year (from 1.7%) and to 1.5% next year (1.7%), and put the odds of the UK slipping into recession by the summer at one in four. Markets now price in just a 35% chance of an interest rate rise by the end of the year, despite a tight labour market and strong wage growth." Yomdel CEO, Andy Soloman, commented: “We’ve seen the impact our continued Brexit debacle is having on areas like the property market, but whichever way you look at it, it’s clear this detriment reaches right across the UK economy. "The slowest rate of annual growth in six years and a month on month decline demonstrates the fragile position we find ourselves in, however, this is not an indication of an imminent recession.